Micki-Lee’s Trio’s performance is the last of three shows in our 2018 Summer Series. 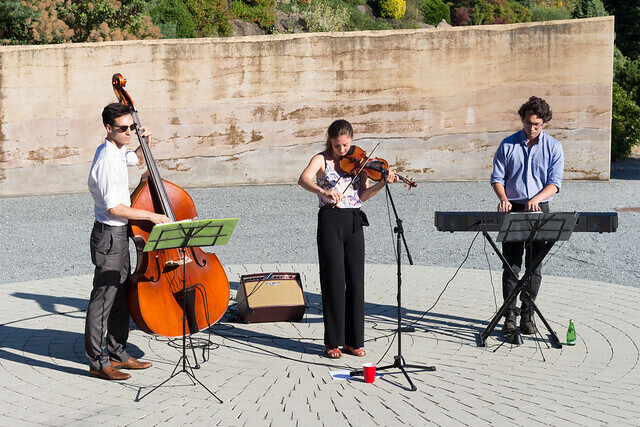 Alternating between foot-tapping fiddle tunes and siesta-inducing jazz standards (à la Bard Howard), Micki-Lee’s Trio dazzled the audience in the finale of the Roseline Sturdy Amphitheatre Summer Series. Micki-Lee Smith takes her experience from both classical training and fiddle performing to be accompanied by Andrew Macdonald on keys and Jacques Forest on bass. These recent UBC grads are no stranger to the stage.